At the end of the 19th century many mills all over Europe were converted from wind power to steam. 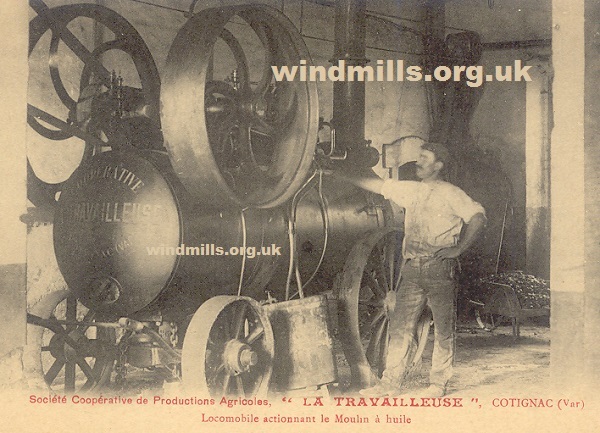 Here is a typically sized mill steam engine on a postcard from France, c.1907. An old picture postcard of a steam engine (boiler) powering a mill in Cotignac, France. This entry was posted in Industrial Heritage, Old Images, Steam, Windmills and tagged mill, steam boiler, steam engine on May 19, 2014 by Tower Mill.